Leaving money in YOUR pocket! Mechanics for Less is a group of Calgary mechanics made up of semi-retired technicians working together to offer affordable repairs. Starting out working on our own vehicles, we decided to offer our services at affordable rates to Calgary residents. Read more about us and you will see that we are a great alternative to dealership maintenance and more costly mechanic repair shops. We service most makes of vehicles, RV's and turf equipment. In addition to our mechanic services, we are pleased to use our website as a place to showcase the occasional vehicle and other items we have repaired and put up for sale through wholesale auction venues.Contact us for more information on any of these items. 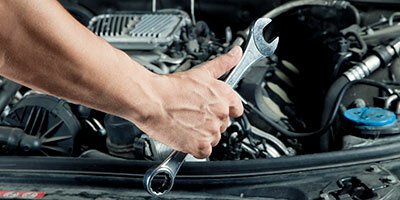 We offer mobile mechanical services for vehicles, RV's and turf equipment. We offer mobile service with our main drop-off location being in Erin Woods in South East Calgary. All consultations are by appointment only. We are available by phone and by email to set up your appointments for any time between 9am and 4pm Monday to Friday. Please note that there are no drop-in appointments. © 2015-2018 Mechanics for Less, Calgary, Alberta.